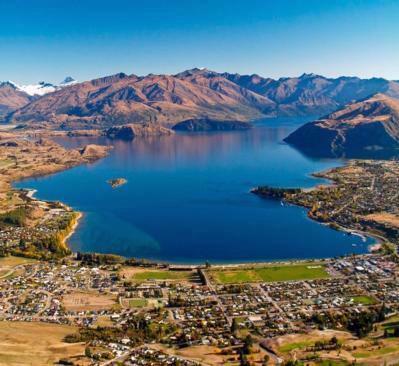 Wanaka is the main town on the edge of Lake Wanaka in the Wanaka Region! In the shadow of towering mountains, Lake Wanaka is a magnificent waterway on New Zealand's South Island that provides a diverse range of thrills and spills for holidaymakers all year round. With a Mediterranean style climate, it enjoys four distinct seasons and is a popular destination for both domestic and international travellers, Lake Wanaka provides a superb selection of holiday accommodation to suit every budget. Lake Wanaka is the gateway to Mount Aspiring National Park, the second highest mountain in New Zealand and a paradise on earth for hikers and climbers. And the lake itself is another superb spot for those who love the great outdoors, its 45 kilometre length and 193 square kilometre lending it perfectly to water sports such as sailing, kayaking and jetboating. Despite its increasing popularity, the town of Wanaka has managed to retain the laidback vibe of a small town and combine that homely feel with providing every possible convenience, shopping, bars, transport and type of holiday accommodation for visitors. Winter sports are the biggest draw for visitors to Lake Wanaka. From June until October, its four world-class ski areas - Cardrona Alpine Forest, Treble Cone, Snow Farm and Snow Park - provide some of the best skiing, snowboarding and cross-country skiing anywhere in New Zealand. 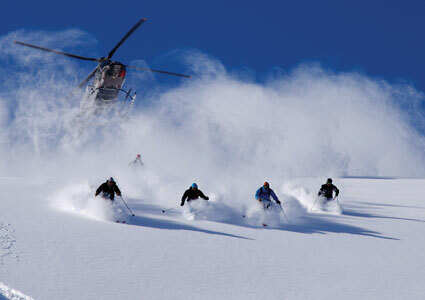 Lake Wanaka, in fact, has the largest heli-skiing area outside of North America. The slopes here are excellent for families, for novices and experienced skiers. 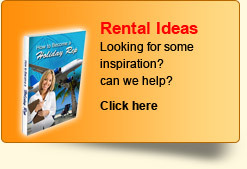 Year round activities include fishing, hiking, biking, walking, canyoning, climbing and skydiving. From Lake Wanaka, why not take a trip to some of the locations used in The Lord of the Rings trilogy? Wilderness walks reveal the breathtaking landscape that inspired director Peter Jackson to recreate Middle Earth in New Zealand. Boat charters will whisk you from your holiday accommodation on to Lake Wanaka for fishing, bush walks on its shoreline and reveal its unique bird and wildlife. Helicopter and fixed-wing aircraft trips will reveal the stark beauty of the landscape from the air and leave you breathless. Eco tours are a wonderful way to explore Lake Wanaka and Mount Aspiring National Park with experienced guides leading your party into a wilderness unchanged in millennia. As well as hiking and climbing, you'll be able to spot native flora such as alpine daisies, mosses and ferns, and fauna such as kea, rock wren and spur-winged plovers. As if playing on the waters and surrounds of Lake Wanaka aren't enough, there's playtime of a different kind at the National Transport and Toy Museum in Wanaka. 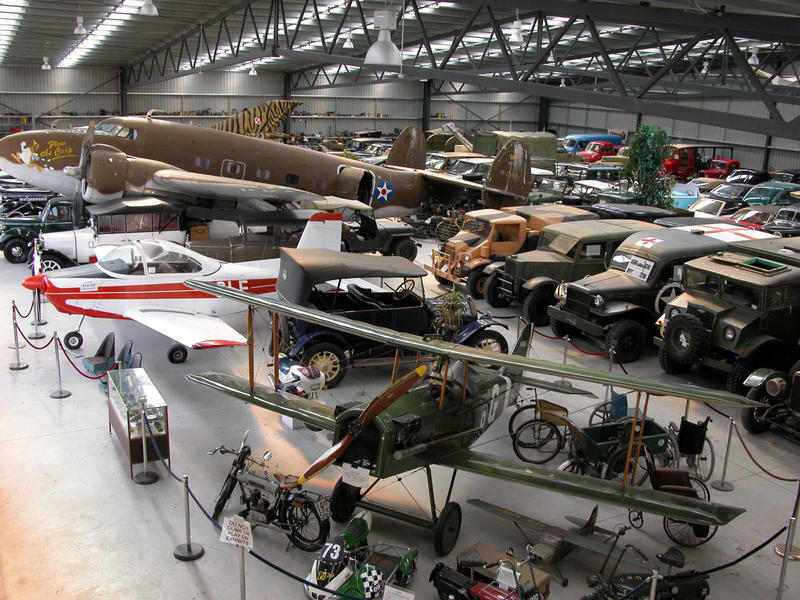 This amazing collection, open all year round, is one of the world's largest private collections and is housed in four buildings with 100,000 sq feet of indoor displays and 16 acres of outdoor display area. It features more than 700 vehicles, 30 fire engines, 12 aircraft, 50,000 toys, 2,000 teddy bears and dolls and thousands of other items - all collected by one man over a lifetime. 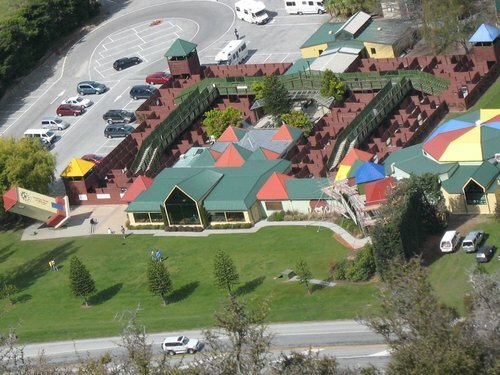 Another intriguing attraction is Stuart Landsborough's Puzzling World set amongst 7 acres of lawns, trees and gardens, a unique and eccentric collection of puzzles, mazes, optical illusions and Roman toilets that will bamboozle and amuse you. Even the cafe and gift shop is a puzzling centre. In Wanaka itself the curio that is the Little Brown House, a mix of cafe, chocolaterie, design store and art gallery, adds to the Wanaka attractions that are just that little bit different. 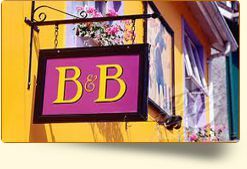 Round your day off with a tour and a drink at Wanaka's very own boutique Beerworks Brewery. 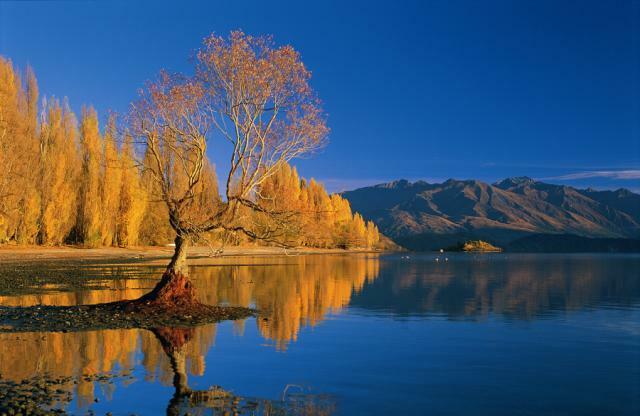 Wanaka enjoys a continental climate with four distinct seasons. A wet spring is followed by a hot dry summer with temperatures averaging around 24°C but occasionally going beyond 30°C. Winters are clear and cold but don't expect the temperature to rise beyond 10°C. Wanaka Airport, only a short drive from the town centre, receives regular scheduled domestic flights from Christchurch while Dunedin International Airport - around three hours' drive away - is the gateway to the region for travellers arriving from other parts of New Zealand, Australia and worldwide. 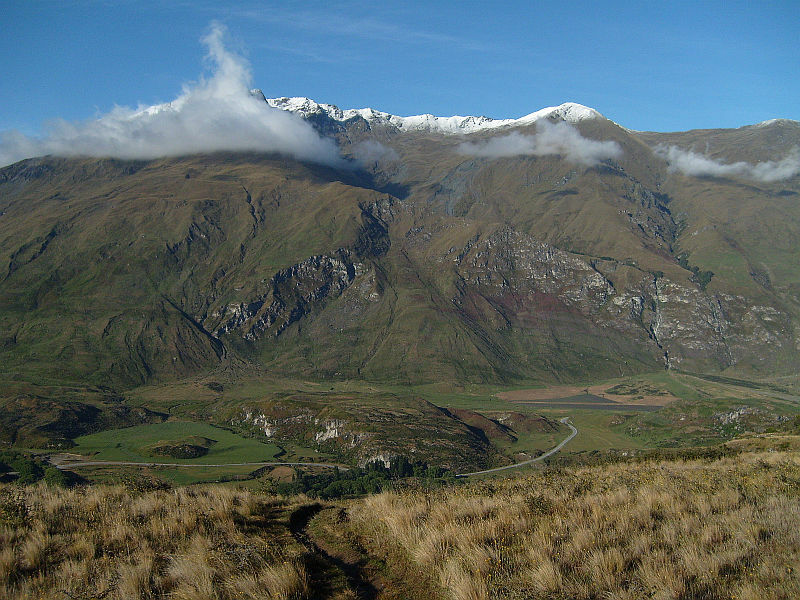 There is no rail service to Wanaka but there are regular bus and coach services servicing the town. Wanaka has good road links for those intending to drive to their holiday accommodation.